Bey and Jay made sure they didn't steal the spotlight at the late rapper's celebration of life. 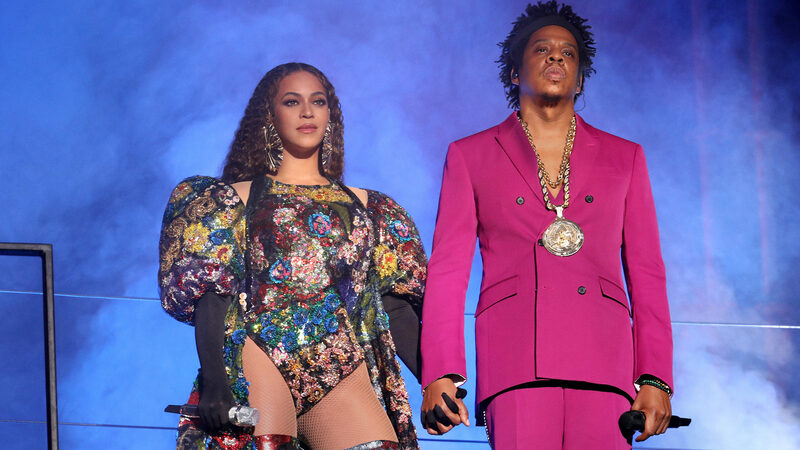 The celebration of life held for Nipsey Hussle at the Staples Center on Thursday was attended by family, fans, and friends of the late rapper and several famous faces including Beyonce and JAY-Z were in the building even though you may have missed them on the live streams of the event. While superstars like Snoop Dogg, Marsha Ambrosius and Stevie Wonder took the stage to pay tribute to the slain rapper who was gunned down outside of his store on March 31, others, like The Carters, flew under the radar and blended in with the crowd of mourners. The only reason we knew Beyonce was in the building was because we spotted her bodyguard, Julius, standing at the end of her row on the Staples Center floor where she and her hubby mixed in with the crowd and made sure they didn’t draw much attention to themselves. A couple rows behind them was Diddy and his entourage, all dressed in white suits for the occasion. Meek Mill was also in attendance, but no one was focused on the celebrities in the room on the somber day. The Carters seemed to make every effort to go unnoticed and mourn like the rest of the crowd. Beyonce and JAY-Z took their seats shortly after the event began with few people noticing their arrival. They left their seats after Snoop Dogg delivered his heartfelt speech about his fallen friend, once again avoiding the attention they usually garner; a true sign of respect for their friend and his family. Lauren London highlighted the love she shared with Nipsey Hussle during a heartfelt tribute that including her reading of a touching text message she sent him in January and describing what a loving partner he had been to her. After the service, she debuted an elaborate tattoo of Hussle’s face on her forearm. “Real love never dies. When you see me, you will always see him,” she posted.